Lorne Michaels Breaks His Silence on Kanye West Yelling About SNL's Set Change: "He's an Artist, You Know?" 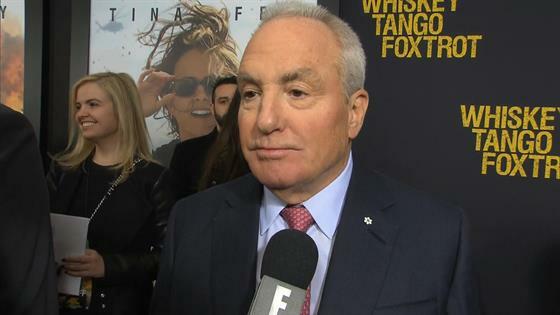 Lorne Michaels has seen it all in his many years at Saturday Night Live. So, when Kanye West freaked out after his set had been tampered with on Feb. 13, Michaels wasn't worried about whether the show would go on. Four days later, though, The New York Post's Page Six released an audio clip of the rapper ranting in his dressing room. "Look at that s--t. They took my f--kin' stage off SNL without asking me and now I'm bummed," West said, threatening to cancel. "Now I ain't gonna do this. We're breaking the motherf--king Internet." West calmed down and went on to perform "Low Lights," "Highlights" and "Ultralight Beams." At the time of the audio leak, a source told E! News that West "did not yell at SNL staff. This audio was secretly recorded while he was venting his frustration in a private moment with his team. He found out his stage design was changed and taken apart under the direction of the show's lighting director without anyone's approval. He had spent an entire day rehearsing and a lot of hard work into the performance. Dramatic set changes were made 30 minutes before going live. It should be understandable why he was upset after being completely blindsided." A rep for Saturday Night Live did not return requests for comment on the audio leak. E! News exclusively caught up with Michaels at the Whiskey Tango Foxtrot premiere in New York City, where he broke his silence on the incident. As expected, SNL's famously calm creator and executive producer shrugged off West's outburst. "That happened in his dressing room," he explained. "Kanye's been on the show a lot of years, and it's always different. He's an artist, you know? A great artist." To prove his point, Michaels referenced West's appearance at last year's Saturday Night Live 40th Anniversary Special. For his February 2015 appearance, the rapper made a cameo in a Wayne's World sketch with Mike Myers and Dana Carvey and also performed a medley of "Jesus Walks," "Only One" and "Wolves (feat. Sia)." "When he did the 40th anniversary show—which I wanted him to be part of it—I had no idea what he was going to do, even 10 minutes before we went on the air. He arrived that day," Michaels recalled. "But he just always delivers, and he's Kanye."